One of the first reviews I posted on Everyday Linux User was for Puppy Arcade 10. In that review I highlighted that the concept was good but the overall experience could be improved. I received an email a little while back now asking me to take another look at Puppy Arcade as version 11 has been released. Note that there are three download links listed. I picked the one from 2013. Normally when I install Puppy to USB I create a CD first, boot the CD and then use the Puppy Universal Installer to create a bootable USB drive. For Puppy Arcade it was possible to use UNetbootin although the official readme suggests using the Frugal installer from the CD. Click here to learn how to create a bootable Linux USB drive using UNetbootin. When I tried Puppy Arcade on my newer Toshiba Satellite Pro it didn’t work properly. There was a loud beep every time I clicked on an icon and the display was stuck at 800×600. There is a newer version of Puppy Arcade 11 for newer hardware available at this page although it is a test version. I have therefore decided to conduct this review on the same laptop that I used to review Puppy Arcade 10, the trusty old Samsung R20. When you boot for the first time you will be asked to choose between xorg and xvesa and you will be asked to choose your display configuration. The Puppy Arcade desktop appears and you are asked to choose your language, timezone and keyboard layout. 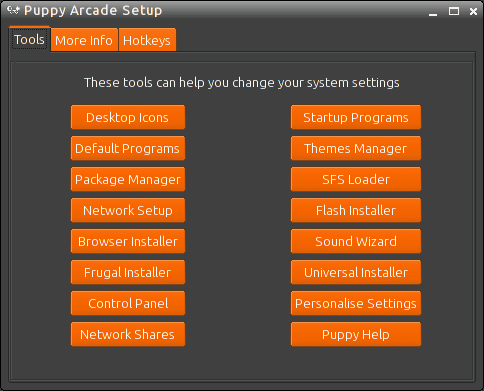 Puppy Arcade has a central tool for setting up things like network connections, default browser and Flash. Before doing anything else I would recommend rebooting Puppy Arcade. The way Puppy works is that everything is loaded into memory and every application you install is saved in a file which can be stored on your USB drive or on the host drive of the computer you are using. There is no partitioning or anything like that required, it just creates a file just like any other file. The save file is not created until you shutdown Puppy Arcade for the first time. As you have set up your display settings and your language settings it is a good idea to reboot and create that save file. When you click reboot you will be asked whether you want to save data or not. 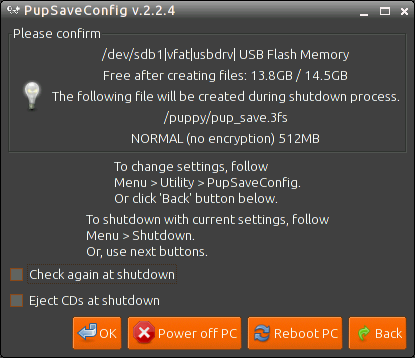 If you click “Save” then you will enter the PupSaveConfig utility. Click OK to configure the location of the save file. The next screen lets you determine which folder to use to store the save file and a name for the save file. You can also determine the type and size of the file. Remember that you will be loading in ROM files so you will need a decent sized save file. Finally you are ready to reboot. Click Reboot PC and your Puppy Arcade should now load with the save file enabled…… but it doesn’t. There is a small bug whereby the save file name is wrong. Use a file manager to locate the save file that you created earlier and rename it to warysave.3fs. Reboot again and Puppy Arcade should now load using the save file. 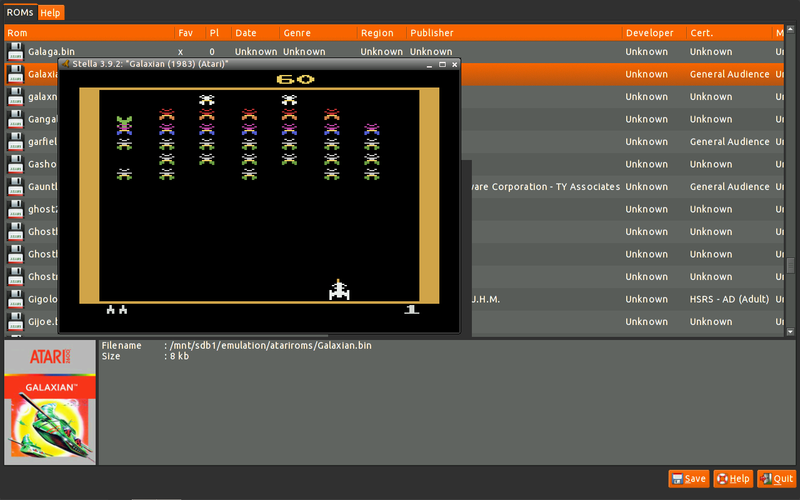 To connect to the internet, open up the Puppy Arcade setup screen and click on “Network Setup”. You are now given the option to connect to a wired or wireless network. If you click on the “Wireless Network” option you are shown a list of available wireless networks. If nothing is displayed you may need to click on the “Refresh” button. Click on the desired wireless network and enter the security key to connect to the network. Puppy Arcade doesn’t have a web browser installed by default. Instead there is an option called “Browser Installer” from the Puppy Arcade Setup screen. There are a number of browsers to choose from including Firefox, Chrome and Opera. 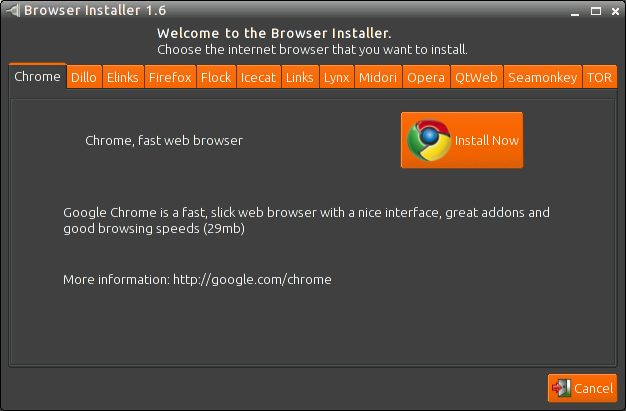 Simply find the tab for the browser of your choice and click “Install Now”. Flash is also not installed by default. There is a Flash installer option available on the Puppy Arcade setup screen. 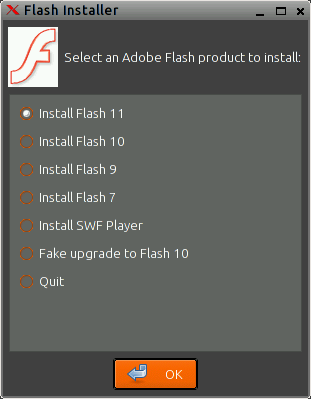 A message appears asking whether you want to install Flash and then a further screen appears asking which version you wish to install. 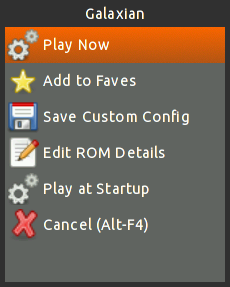 Choose the version that you wish to install and you will then be able to play Flash games and watch Youtube videos. Puppy Arcade comes with a number of music applications including players and converters. 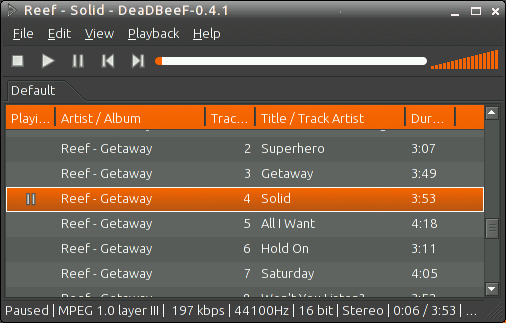 The default audio player is the ever impressive DeaDBeef. MP3s play straight out of the box without having to install extra codecs. The whole point of Puppy Arcade is under the fun heading. It is all about retrogaming. There are emulators for pretty much every games system that you can think of including Atari ST, 800, 2600, Sinclair Spectrum, Commodore 64, Commodore Amiga, NES, SNES and Sega Megadrive. One of the most impressive tools is the Rom-Loader which lets you load and run the ROM files for all the emulators through one interface. A ROM file is basically the emulated game file. You can download ROM files from a number of locations online. Be careful because the legality of using such files is a bit of a grey area and some sites deliver a little bit of malware to go with the file. Stick with sites like CoolROM.com and FreeROMs.com. For the Spectrum ROMs look no further than www.worldofspectrum.org. 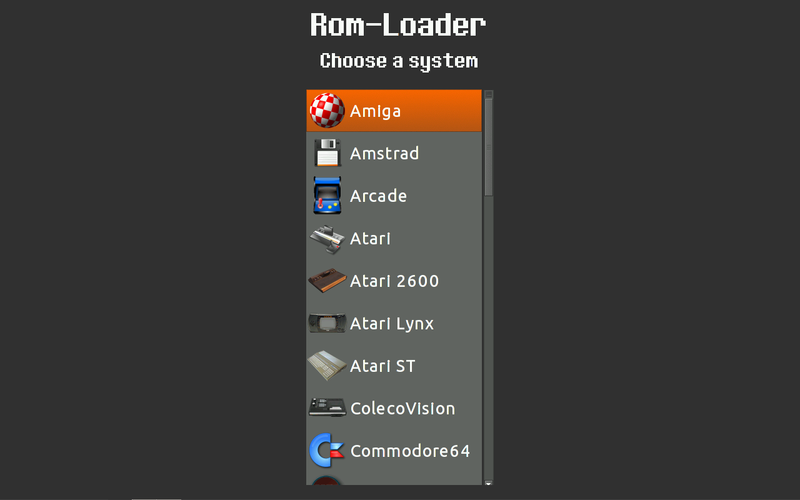 From the Rom-Loader utility choose the emulator for the ROMs you wish to load and then navigate to the folder where the ROMs reside. The Rom-Loader utility not only lists the files that you have loaded but it provides other information such as release year, genre, developer and even the images of the cartridges. To load a file you don’t have to run the emulator. Just double click on the file. Click “Play Now” to play the game. Ideally most people nowadays have some form of games console and so it would be great if Puppy Arcade made it easy to use a WII remote or an XBOX controller. I couldn’t get either of these to work. I did manage to use a Bluetooth dongle and my OUYA Controller though so if you have a Bluetooth joystick you may be able to get it to work. There is a special tool for joystick calibration and this works well. Puppy Arcade provided me with a number of challenges over the past week as I fought to get to grips with it. I have already mentioned the need to rename the Puppy save file. The nature of emulation means that Puppy Arcade is restricted to the inherent issues that come with those emulators. 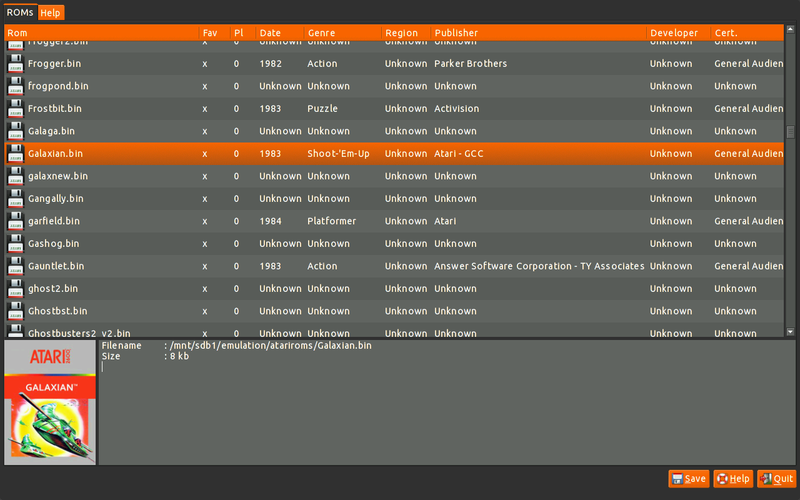 For instance the NES emulator FCEU sometimes crashed the display and I had to run XWIN to get it going again. The ROM-Loader needed to be resized in order to use the menu and occasionally it hung and I had to forcefully kill it. In my review of Puppy Arcade 10 I mentioned that it was a good idea in need of an update. In Puppy Arcade 11 I have seen improvements but anyone wanting to use this distro needs to know that it is clearly a hobby project and therefore it is rough around the edges. You will probably need to put in some work to get each emulator behaving the way you want it to and to get it working with your desired controller. If you hardware is too new then you may have problems running Puppy Arcade at all. I think the best resource you can start with is the Puppy Arcade Readme. A lot of work has gone into the readme and it covers system requirements, installation and details about the emulators and Rom-Loader. If you can tailor Puppy Arcade to your needs then you have a games system on a USB drive. Wow! This is really cool. Not only the retro gaming side but also the fact that this distro is really beautiful with that Ubuntu-like, black and orange, theme. Thanks for this post. 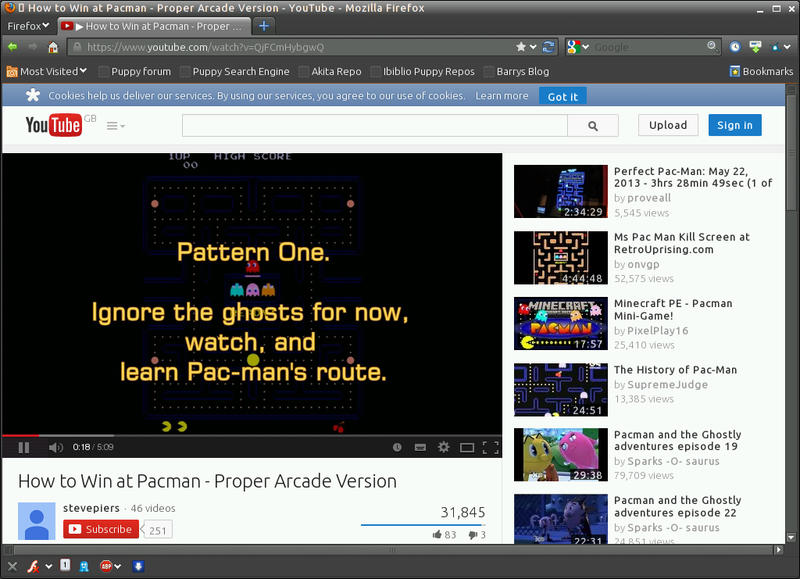 It's featured in Linux Today and that's how I got here. A good name for the dog makes it more centre of attraction. I also think that the name of a dog reflects the personality and sense of humor of the owner. Arcade games are one of the earliest forms of video games. I always get fascinated when I find one in any entertainment or amusement park.